Lean und Kanban: My Name is Justin - Justin Time! In October 2011 I had the idea of giving a talk about the advantages of WIP limitation. The whole talk should be told as a story and all slides should be cartoons. The opportunity came in the shape of the conference Lean Kanban Benelux. The talk was videotaped, so you can watch the video below if you would like to. Arne Roock - Limiting your WIP - Why and How? 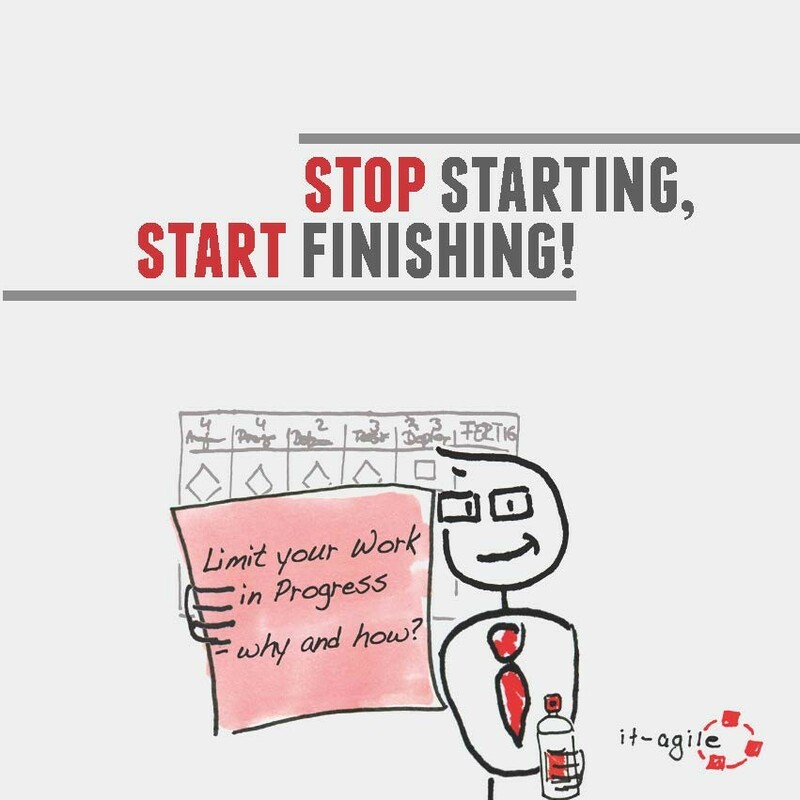 from Agileminds on Vimeo. I still like the idea of telling stories and having them illustrated as cartoons. So a couple of weeks ago we at it-agile decided to print a little brochure with an updated version of the story about Justin and his experiences with Kanban. The brochures was handed out at the conference Lean Software & Systems 2012 in Boston. 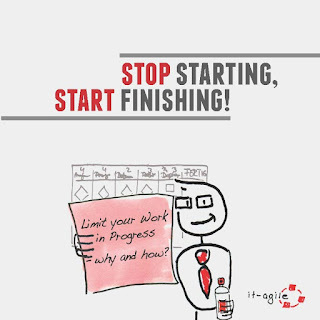 If you could‘t make it to Boston (and you live inside Europe), you can order a free copy at this it-agile website. If you live outside Europe, please get in touch with me, so we can see what we can do. And if you have any kind of feedback, please do not hesitate to leave a comment or send me an email!